We sell our lovely fiber from our sheep and llamas right now at our Etsy Shop. Head on over to our shop here! We have Santa Cruz Island fleeces for sale (photo of Dutchess's fleece below), and Navajo-Churro and llama pin drafted roving for sale - this roving practically spins itself! This is in the Wool and Fiber section of our shop. The 2016 clip is in, and I have listed several Santa Cruz Island sheep fleeces for sale at our Etsy Shop - link above. 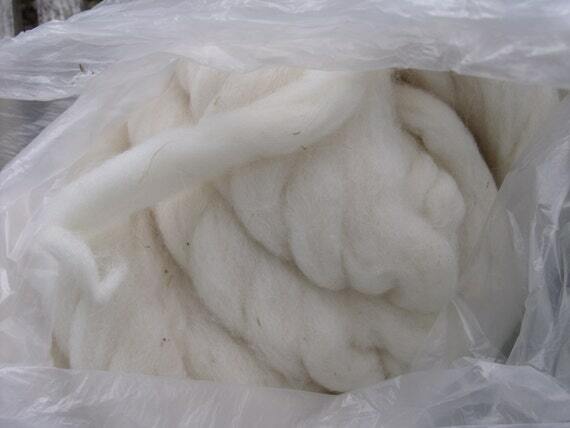 After I evaluate, weigh, measure, and price them, there will likely be a couple/few Navajo-Churro fleeces too. Keep watching. Interested in our sheep? We have a white Navajo-Churro ram, Roberto, for sale. I will post photos of him here and on the Livestock Conservancy classifieds soon. Keep watching and check him out, he is beautiful! If interested, contact us at lynn@blueoakcanyonranch.com. We are sold out of Santa Cruz Island ewes and ewe-lambs for this year, but have some really nice ram-lambs, nearly yearlings, ready to go soon to your flock. I'll get some photos soon. Also, we have an adult Santa Cruz Island ram, a proven sire, about 4 years old, for sale. If interested in any rams, contact us at lynn@blueoakcanyonranch.com.